Could the Chairman and CEO of Canada Steamship Lines, become the Prime Minister of the country? Paul Martin sure thought he could! 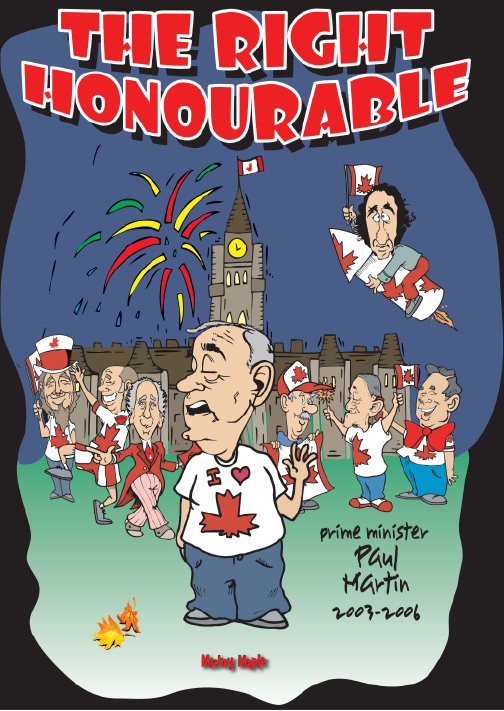 December 12th, 2003 Paul Martin is sworn in as Canada’s 21st Prime Minister. 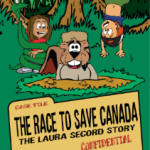 This Canadian History for Kids, Sketches of Canada, looks at the career of Paul Martin. Martin was born in Windsor, Ontario. His father, Paul Joseph James Martin, served thirty-three years as a member of the Canadian House of Commons, and was a Cabinet minister in the Liberal governments of Prime Ministers W.L. Mackenzie King, Louis St. Laurent, Lester B. Pearson, and Pierre E. Trudeau. Martin contracted polio in 1946 at the age of eight (like his father had). He grew up in Windsor and Ottawa. To give him the opportunity to improve his French, his parents enrolled him in a private French-language middle school, École Garneau in Ottawa. He then briefly attended the University of Ottawa. Martin graduated from St. Michael’s College at the University of Toronto with a B.A. in history and philosophy in 1961. He then attended the University of Toronto Faculty of Law, where he received a LL.B. in 1964. He was called to the Ontario bar in 1966. Martin was named president in 1973 of one of Power Corp’s larger subsidiaries, Canada Steamship Lines, and in 1981 he took the considerable gamble of buying the company himself. He restructured CSL, selling off money-losing operations, expanding the company beyond its traditional Great Lakes routes and building a fleet of deep-sea vessels equipped with self-unloading technology. CSL became an international business giant, and Martin a wealthy man. Martin ran for Parliament in 1988, winning election in the Montreal riding of Lasalle-Émard. He served as Jean Chrétien’s minister of finance from 1993-2002. When he arrived at Finance, the government was spending $42 billion a year more than it was taking in. Martin wiped out that deficit within four years. When Martin became Liberal leader in November 2003 and prime minister the next month, he was full of ideas about how to make government more dynamic. But the Martin Liberals were immediately gripped by a major scandal left over from the Chretien years, involving the mishandling of millions of dollars allocated to a government sponsorship program. On election day, 23 January 2006, he finished second and immediately resigned from the Liberal leadership. Martin was a good and able man who had finally achieved his destiny, only to be defeated by his own accidents and the accidents of history..